The year 2020 once seemed like a futuristic time where there would be flying cars and robot butlers, but as we actually near 2020, we realize we were not too far off. While we do not have flying cars just yet, Israel is working on creating a self-driving car through Mobileye technology. As for our robot butlers, we have things like Siri, Alexa, and Google that are at our every beck and call. Israeli technology has been at the forefront of moving towards the future and here are just a few things we can expect in 2019. Amazon, known to be one of the world’s most popular e-commerce websites is preparing to open in Israel with a local Internet address in the first quarter of 2019. The recent arrival of other large European online retailers such as Next and ASOS, were instant hits and had already begun to transform the Israeli online shopping experience. The excitement is palpable as consumers rush to order online and enjoy the fast- efficient delivery and excellent customer service aspects as part of the experience. Israelis can’t wait to have Amazon as a real choice, with their incredible selection of products and more importantly, without the insanely high shipping charges. The entire effortless experience, from the purchasing process to the arrival of your smiling Amazon box is what excites future Israeli customers. Amazon’s entry will allow Israelis to say goodbye to the local postal system frustrations and welcome inexpensive goodies from around the world. ISRAEL GOING TO THE MOON! Just a short seven years ago, Israel entered a Google technology contest to land a small probe on the moon. While no one actually made it to the moon within the time of the competition, Israel became motivated to continue reaching for the stars, and Space IL, Israel’s non-profit space organization, a spacecraft is being prepped for launch in February. Only three other countries have ever landed on the moon, and the fact Israel will be joining this elite club has already raised the spirits of Israelis, as it will be putting our tiny country into the modern-day space journey. Even before Israel decided to go to space, Israeli-British Judaica designer, Laura Cowan, has been space obsessed, sending her sleek Apollo inspired mezuzah into space with NASA, being one of the few Jewish items that has seen the Great Beyond. Excitement is building within the world of Cannabis exports as Israeli legislation paves the way for exporting medical cannabis in 2019. With the almost year-round perfect climate for growing and cultivating marijuana combined with a high level of expertise in Israel, this is an industry that is causing a stir. While there are fears that an export industry can increase the amount of illegal substance abuse on Israeli streets, the amount of excitement and buzz of financial predictions has put those fears away. Joining the Cannabis export industry has the potential to raise Israel over $1 billion in sales. IOT, or the Internet of Things, has been one of the many projects in the Start-Up Nation. Aside from working on the first self-driving car, Israeli companies have been working on multiple IOT projects that have been known around the world. MUV Interactive based in Herzliya has created a device that is meant for play, education, and even the corporate world, that allows any space to become interactive. Voice assistants from Google and Amazons are starting to find their place in the Israeli home and small devices here, and there are often installed in the home. Control your heat, lights, even the temperature of your next shower from your phone. IOT is the future, and the future is now. Joining in the global eco-friendly trend, cafés in the modern city of Tel Aviv have finally begun the vital shift to reduce the amount we are using and producing plastic. Israel has been known to lead a plastic life, and even the smallest of changes have made the biggest impact. Since supermarkets started charging for plastic bags, there has been an 80% drop in plastic bag use. Moving forward, many Tel Aviv bars and restaurants have taken a straw-free pledge, no longer handing out plastic straws with every drink, which tend to litter our beautiful sea. The people of the bustling coastal city have welcomed the critical shift to reduce plastic use, and 2019 looks set to be the best year yet for reducing and recycling plastic waste. Not so much technology related, but Tel Aviv is set to host Eurovision 2019 and Israel is excited beyond words! Netta Barzilai’s winning single, “Toy” took the international music world by storm and has finally brought the great European singing competition back to Israel for the first time in decades. Netta’s win has inspired many young musicians to get out there and follow their creative dreams and has the Israeli sense of pride shining brightly once again. The 2019 Eurovision contest will be hosted in one of the world’s biggest party capitals, which guarantees an unforgettable time. The international competition is also set to drive an increase in tourism as international acts with their supporters and fans will arrive to take part in the week-long competition. Incredible advancements were made in 2018, including the Israeli discovery and testing of a new molecule that literally kills brain cancer. One of the current projects Israel’s high-tech medical researchers are working on that is expected to have high levels of success, is said to help reduce tumor sizes in cancer patients, thus extending life expectancy. For medical research in Israel, 2019 is a year to be very excited about, as even more in helping improve the lives of others is to come. The combination of medical expertise and tech knowledge has been paving the way for game-changing treatments and looks set to continue and an even faster pace. 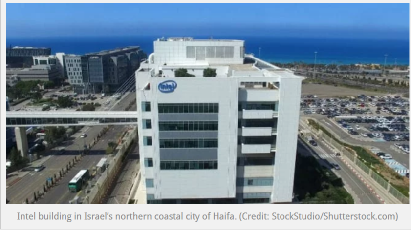 It seems as though Israel has been a leader in fertility advancements and 2019 will see even further development for in vitro fertilization. This includes the latest treatments, which have shown to speed up egg maturation and ovulation. The impact can be seen through the entire provision of IVF services throughout the world and will also lead to other added on potential uses of this technology which has yet to be thoroughly investigated. 2019 is a promising time to be living, as the odds of becoming a parent, despite potential fertility issues, begins to seem less and less bleak. These advancements, alongside many others, are sure to become part of recommended treatments in the years to come. An Israeli titled cryptocurrency called Jerusaleum is long overdue as so much speculation and hype continue to both excite and cause some levels of concern within the Israeli financial world. Jerusaleum is a currency that focuses on decentralization, bringing the power back to the people and “open the sky.” Their two tokens are JLM and JLMD, are expected to be listed in the second or third quarter of 2019, but for now, one can join Jerusaleum’s network as a co-founder. The requirements for joining are rather simple, as one just needs a MetaMask wallet and an Ethereum wallet address. Take part in the future monetary revolution and join Israel’s own Jerusaleum! While these are just a few predictions for what is to come in the last year of the decade, 2019 will hopefully bring so many more technological advancements and surprises to help better the world. Technology has proven to be the way of the future, and there is no stopping it, only joining it, so being on Israel’s side has its advantages. We are always looking forwards as to what big scale projects this tiny Start-Up Nation has to offer — going to the moon, improvements in medical technology, joining the cyber currency revolution, who knows what else is to come from Israel! Israel's national food tech center, to be opened by 2019, will gather all the best minds to work on the future of food, aiming at "helping the obese western world and the starving third world."